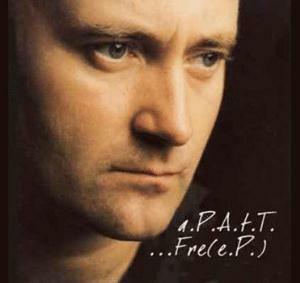 a.P.a.t.T made this EP, suitably called Free(e.P. ), available as a free download on Bandcamp. The EP seems to be a collection of cover songs, but they've been morphed and distorted to the point that any resemblance to the originals is not easily discernible or lost entirely. The opening and closing tracks are called Megamix Parts 1 and 2 and seem to be a mix of 1980s numbers mashed together, sometimes seemingly in a simultaneous manner. There are a lot of programmed drums and much of the music has clearly been edited on a computer with added effects. Vocals are distorted beyond human abilities. Other covers include the Spice Girls' 2 Become 1, Styx's Mr. Roboto on the song Kilroy Was Here, and the Beatles' Yellow Submarine. Many of the others I cannot readily identify. The music throughout the album can barely be called music in the traditional sense. They are more like harsh sound collages, manipulated with computer software. There is an overlapping hip-hop presence throughout much of the material. The assault on the ears is disjointed, machine-like, and just plain messed up. It isn't clear to me what the point of this was. Making a mockery of popular music? Trying to make something as lousy as possible on purpose? An experiment run amuck? Or a bunch of pre-teens farting around with computer music software while giggling? I'm all for experimental stuff, but this borders on immature stupidity. First of all let's say that I've seen proper studio albums shorter than this (supposed) EP. This is an album of covers from one of the craziest bands that I've discovered thanks to PA, but the original songs are so distorted and far from the originals that we need a key to understand what the band is doing. Let's start from their usual output. Whoever has enjoyed their "Black And White Mass" knows what the band is capable of and their approach to music, being it jazz, rock, folk or just fun. 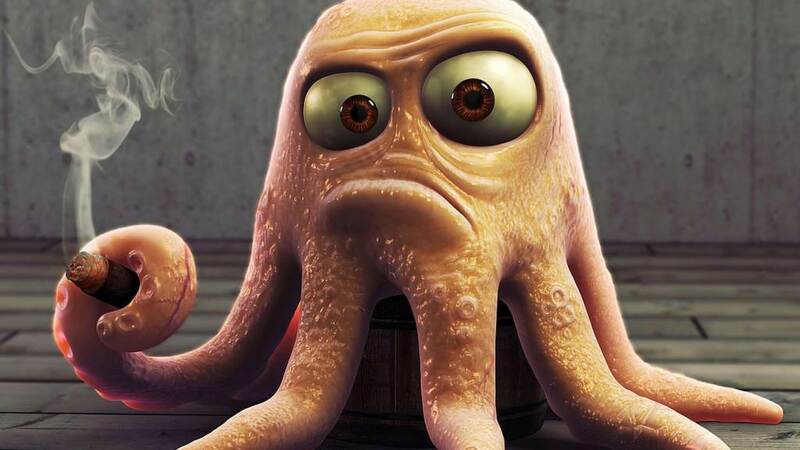 Fun is one of the keys: there's a number of parodies, the opener and the closer are mixes of more and less famous pop, but not only, tracks like the polkamixes of Weird Al Yankovic. The second key is their background: the band is from Manchester and surroundings, and there's a lot of "locals" inside. Spice Girls can mean something to United supporters, however it's a very "British" mix of songs. Take it as it comes, it's like zapping on the radio frequencies. I don't know, or I can't recognize, many of the originals and this is a limitation to my possible fun, but a track like "Vampire Birthday", being it a cover of not, is perfectly in line with the crazy and noisy moments they are usual to. Somebody may be concerned about the use of tapes and electronics. Often it sounds just like they have cut and pasted together radio recordings in a patchwork of sounds. Well, Battiato has done the same experiments in the 70s, and this is not too different. Only, Battiato was looking also for fragments of speeches, including pieces of TV advertising, or at least something which could have been easily recignised by the Italian listener but put in a different context. For a.P.A.T.t., whatever it means, it's exactly the countrary: they try to make known things unrecognisable. A special mention goes to what I think was one of the worst, uninspired and uninteresting songs ever released by the Beatles, at the same intellectual level of Obladi Oblada: that's Yellow Submarine. The way this song has been disassembled and made similar to a 80s Atari videogame soundtrack is amazing and funny. The noisy interlude fits quite well, also if you think to the use of tapes that even Beatles actually did. I'm not ashamed of suggesting this album as good and surely not essential. It's a free download, in the worst case you would have lost some time in picking it from bandcamp, and if you don't like the genre you'll take less than one minute to decide to delete it from your hard drive. Personally I have enjoyed it enough to listen to it more than once. If Yankovic destroyes songs starting from the lyrics, A.p.A.T.t. destroy them from music. Give it a try. Post a review of A.P.A.T.T. "Fre(e.P.)"